Your U.S. or foreign employer wants you to work in the U.S. for a while. We will assist you in obtaining the necessary visa. The most popular visa is the H1-b visa for professionals with at least a bachelor’s degree. We will carefully evaluate your credentials and assist the employer with matching you and the position sought. There are many other visa options for temporary work or study in the U.S. We will find the right one for you, if you are student, a trainee, a temporary worker, or a professional from the NAFTA countries Mexico or Canada. There are visa for athletes and artists, for doctors and nurses, for exchange workers and for managers of foreign businesses. Together with your employer we will find a smooth way for you to come and work in the United States. If you are working for an international company and the company wants you to manage their business in the United States we will obtain the necessary visa for managers and specialists. Give us a call for a free consultation today! 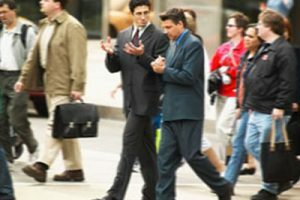 An extremely popular solution to live and work in the U.S. owning and operating your own business is the “Treaty Investor or Treaty Trader Visa.” It is only available for citizens of selected countries which include Mexico, Canada, Australia, and most of Europe as well as countries in Africa, Asia and Latin America. The treaty investor visa enables an investor who invests a substantial sum in a new or existing business in the U.S. and who manages it to live in the United States as long as this business is operating and profitable. The great advantage of this visa is that it enables you to start your own business with a relatively low amount of investment, often $ 100,000 or even less. Also, if you already own a business which predominantly trades goods or services between the United States and your home country, you can obtain a “Treaty Trader” visa to manage this business while living in the United States. No additional investment is needed, but you must be able to show substantial trade between the two countries and you need to show that your business is and will be profitable. Some examples of successful treaty businesses where we have obtained the visa for the owners include a tourism centered business that caters to tourists from Europe, a business dealing in vintage goods sold to Europe, restaurants, hotels, etc. There are no limits to your entrepreneurial spirit as long as you have a profitable idea. We will help you establish your investments or your trade business and open the door for you to live in the United States with an E-1, E-2 or E-3 or a NAFTA visa. In all these situations we will work with you to find a solution.